The Advantech PCM-23 series memory modules are Industrial grade memory modules for the mPCIe interface which is able to extend access to the memory through the connector through iDoor technology with different functions. The PCM-23 memory module is an optional extended memory used to store critical data in an event log. The critical data needed to be non-volatile in the event of power loss. For their non-volatile memory requirement, Advantech chose the Everspin MR4A16B 16Mb MRAM memory because it provides two megabytes of non-volatile, reliable data storage, with 20 years of data retention. All without batteries or external capacitors. Siemens developed their MP 277 and MP 377 Simatic Multipanel machine control systems to enable integration of several automation tasks on a single platform. 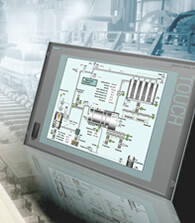 The user-programmable SoftPLC option supports a comprehensive, expandable machine control system in a small form factor that helps reduce overall system cost. 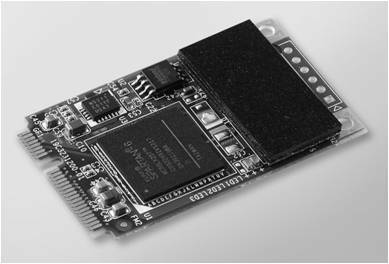 An Everspin 4Mb MRAM memory provides non-volatility, fast read/write capabilities and high reliability, without battery backup, for the software-programmable logic controller (SoftPLC) that processes data. 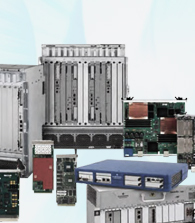 The MVME7100 industrial computer board from Emerson Network Power uses MRAM for critical data and program storage, allowing Emerson's customers to enjoy the ability to capture system data logs without concern for memory wear-out or data backup during a power failure. Everspin MRAM has become a popular choice for storing critical non-volatile data and frequently changing programs in industrial computing products used as building blocks in a variety of industrial, medical and military/aerospace platforms. MRAM provides a preferable solution for applications that traditionally relied on battery-backed SRAM because it offers the same fast read/write speed and unlimited endurance, longer 20-year data retention without power and superior high temperature performance.